AMRITSAR: Punjab chief minister Amarinder Singh on Monday cautioned that Pakistan would not hesitate to use its nuclear arsenal if it felt it was losing out against India in a conventional battle. He asserted that neither country could afford a full-scale war. 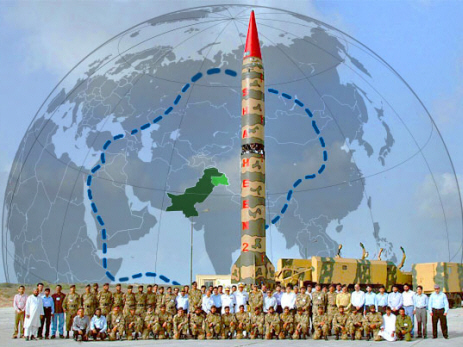 „Pakistan will not hesitate to use its nuclear arsenal if it felt it is losing out against India in a conventional war,“ Singh told the media here. Pointing out that both India and Pakistan were nuclear powers, he said it was not in either country’s interest to use the weapons of destruction but Islamabad could „indulge in such a misadventure if faced with defeat in other battles“. The IAF strikes had proven India’s resolve to deal with the problem in the wake of the Pulwama attack on a CRPF convoy, the CM said. Noting that Pakistan was in a huge economic mess and had been „going around with a begging bowl and surviving on doles from other Islamic nations“, Singh said they could „ill-afford a full-fledged war with India“. And though both are nuclear power countries, Pakistan could act out of desperation to use its nuclear weapons if they found themselves cornered, he warned. The US Department of State added Harakat al Nujaba (HAN), or Movement of the Noble, an Iranian-supported Shiite militia which operates in both Iraq and Syria, and its leader, Akram ‘Abbas al Kaabi (or Kabi) to the list of Specially Designated Global Terrorists today. In the recent past, Kaabi has said he takes orders from Iran’s Supreme Leader and would overthrow the Iraqi government if ordered to do so. Harakat al Nujaba was formed by Kaabi in 2013 as an offshoot of two other Iranian-backed militias — Asaib Ahl al Haq and Hezbollah Brigades — to fight in the Syrian Civil War along with other Iranian-supported Iraqi militias. HAN participated in key battles against the Islamic State in both Iraq and Syria. FDD’s Long War Journal reported in Nov. 2015 that Kaabi and HAN pledged to Khameni and said he would overthrow the Iraqi government if asked. Kaabi has said that “Iran supports HAN both militarily and logistically, and stressed HAN’s close ties with IRGC-QF Commander Qassem Soleimani and Hezballah Secretary-General Hassan Nasrallah, both SDGTs,” State notes. At the height of Syria’s civil war, Kaabi was frequently photographed alongside Major General Qassem Soleimani, the commander of the Iran’s Islamic Revolutionary Guards Corps – Qods Force. Soleimani reports directly to Supreme Leader Ayatollah Khamenei. Qods Force is the expeditionary arm of the IRGC that is tasked with spreading Iran’s Islamic revolution. Kaabi also has a close relationship with Abu Mahdi al Muhandis, a specially designated global terrorist who directs Iraq’s Popular Mobilization Forces, or PMF. Muhandis is described by the US government as “an advisor to Qassem Soleimani.” The PMF is now formally recognized as an official military organization that reports directly to Iraq’s Prime Minister, just as the IRGC reports directly to Iran’s Supreme leader. The US government has a decade plus-long history with Kaabi, which started when he was a commander in Muqtada al Sadr’s Mahdi Army. Kaabi was deeply involved with the Iranian-backed Shiite militias that battled US forces from 2003 to 2011. Qayis Khazali, a Mahdi Army commander who also led the Iranian-directed “Special Groups,” described Kaabi as “a good friend.” Kaabi replaced Khazali as the leader of Asaib al Haq when the latter was captured by US troops in 2008 (Khazali was freed in 2011). Their friendship appears to have endured. Kaabi and Khazali were photographed laughing together while discussing operations in Hawija, Iraq in 2017. In 2008, the US government listed Kaabi as an individual who threatens the security of Iraq under Executive Order 13438. 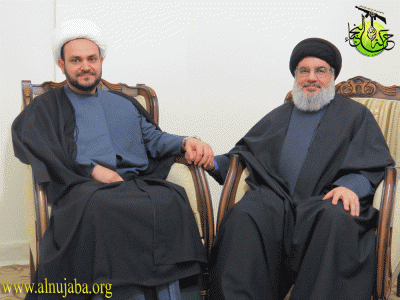 Also listed along with Kaabi was Abdul Reza Shahlai, a Qods Force commander. The US government said that Kaabi was behind multiple mortar and rocket attacks against the International Zone, or Green Zone, in Baghdad in early 2007. He also financed roadside bomb attacks and recruitment for the Mahdi Army. Kaabi, like many other Shiite militia commanders who have openly or quietly accepted support from Iran, have thrived in the new Iraqi political landscape. HAN and other Shiite militias are an integral part of the Popular Mobilization Force. The militias have also entered into Iraqi politics, and their coalition party won the second most seats in parliament. GAZA, Tuesday, March 05, 2019 (WAFA) – Two Palestinians were injured today from Israeli gunfire east of Bureij refugee camp in the central Gaza Strip, according to WAFA correspondent. He said the two were injured when Israeli soldiers opened fire at protesters at the border fence with Israel. At that approximate time, an IDF vehicle experienced mechanical problems outside of the Arab village of N’ima, northwest of Ramallah in Samaria. The soldiers had been conducting searches for wanted terrorists in the village. “Terrorists rammed their vehicle into a number of soldiers who had stopped by the side of the road at the entrance to the village,” the IDF said in a statement. The soldiers fired at the attacking vehicle, killing two of the occupants and lightly wounding the third. The IDF said that the occupants of the car had just come from throwing firebombs at a nearby highway. “Additional Molotov cocktails were found in the same car in which the terrorists carried out the attack” the army said. The Arab residents of the village staged a riot after the incident which was dispersed with tear gas. Hamas released a statement praising the attack. “The deaths of these two martyrs west of Ramallah this morning proves that the Palestinian people will continue its struggle against the occupation until it obtains all of its rights and frees its land,” the terrorist group said. Local residents claim that the incident was an automotive accident, emphasizing that the road is poorly lit and was wet from recent rain. Maan News, a Palestinian news source, cited this claim. “Sources added that the three were workers and were on their way to their workplace, when they were surprised by Israeli soldiers, their vehicle slipped on the wet road hitting the soldiers’ military vehicle,” Maan wrote.